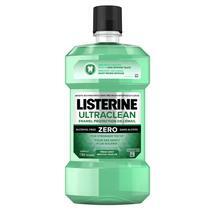 LISTERINE® SMART RINSE® MINT Mouthwash is rated 4.0 out of 5 by 5. Brush, rinse, gargle, spit; in the sink, kids’ll be able to see bits of food they may have missed. It's a fun routine with LISTERINE® SMART RINSE®, recommended for children aged six and older, and helps little ones form good habits. As an added bonus, its also validated by the Canadian Dental Association to protect against cavities. Children age 6 years and older: Rinse with 10mL for 1 minute twice daily after brushing your teeth with toothpaste. Do not swallow. Do not eat or drink for 30 minutes after rinsing. Instruct children under the age of 12 years in good rinsing habits. Supervise children as necessary. Children under the age of 6 years: consult a dentist or doctor. See product label for complete instructions. Rated 1 out of 5 by Mayan from CAUSES STAINING of the teeth - do NOT use! This product causes STAINING of your teeth! Do not use! Rated 4 out of 5 by Michelle2014 from Listerine smart rinse for kids mint My kids like to use this product as it is not as pungent and strong as adult strength Listerine. I feel confident that they are getting proper oral health care when adding this product with regular daily brushing. 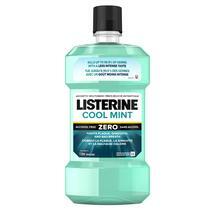 Listerine everyday may keep the dentist away. Well, except our regular dental maintenance for life but that's simple dental care. Thanks for making a product I can trust my kids to use. Rated 5 out of 5 by sammyjb12 from nd spit after brushing,and he like the freshmint not to strong! i love this as it encourages my son to brush without nagging (too much)and his check ups have been much better since he started using it!